If you are looking for ideal properties in Atlanta, Georgia where you can enjoy an exciting night out and meet a variety of new people, Bankhead might be a great place to start your search. In a great location on the upper west side of Atlanta, Bankhead contains a wide array of real estate options and a diverse environment for living. Bankhead is about 10 minutes from the heart of downtown Atlanta and gives residents access to great areas of the city’s west side. A few of the neighborhood’s top qualities include its great options for nightlife and its widespread diversity. Houses in Bankhead are fairly affordable, especially when renting, making it understandable that about 70 percent of the residents in this area rent their living spaces. Residents interested in Bankhead can find homes, condos and other types of housing throughout the neighborhood. The middling value of houses is about $234,400 and the average rental cost of real estate in Bankhead is close to $845. New houses are available with contemporary furnishings and cheap residences with more dated amenities are also available. Single family homes for sale often begin at or even below $15,000 for an older three-bedroom fixer upper and can exceed $250,000 for a newer, updated four-bedroom bungalow style house. Unfurnished rental homes in Bankhead can cost somewhere between $700 and $1,200 monthly for dated two bedroom rentals. Three bedroom rental houses often range from $775 to $1,500 and four bedroom rentals or more usually cost upwards of $1,200. Bankhead apartments for rent can be priced as low as $550 and reach up to $4,500. Studio apartments are typically between $1,200 and $1,570 while one bedrooms tend to range from $550 to $2,140 per month. Apartment pricing for two bedroom rentals in Bankhead begin at $600 and reach up to $2,825 monthly and three bedroom rentals start at $700 and reach just over $4,500. The variation in prices typically depends on whether the apartment has modern features or if there are some amenities that are not in the best shape. Public transit on MARTA is available for residents in the northeast section of the neighborhood, which can be ridden into downtown Atlanta and other parts of the city. Georgia State University is about a 15-minute drive and a half hour bus ride from the neighborhood some students might be interested in snatching up the cheap rentals. 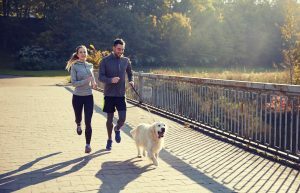 Furthermore, the neighborhood is pet-friendly and offers a nice selection of grocery stores, green space, dining and shopping centers for young residents, pet lovers and college students. Mostly young professionals and college students in search of real estate options in Atlanta would be best fit for the Bankhead neighborhood. Some low-income families will probably also take interest in the affordably-priced housing selection, but it is not an ideal area for public education, given a “C-” grade in that area. The median household income in Bankhead is a little over $35,000 and just under one half of residents in the neighborhood have attained some type of college level credentials or a degree. If you are on the lookout for houses on a tight budget but still want access to many nightlife hotspots, bars, restaurants and a diverse living environment, the Bankhead neighborhood hits all of the marks. It has a “B” grade for ethnic and economic diversity and an “A-” for nightlife entertainment.